Chef shares a folklore medicine Filipinos use for curing diabetes and other ailments. This is NOT a medical journal and not a prescription. If you have a medical condition, consult your physician for advice and proper prescription. One mid-afternoon last December, a chef passed me by in town. We exchanged greetings and struck up a conversation. On asking where he was heading to, he remarked to gather some leaves to make tea. Make tea? Curiosity got the better of me, and my interest was stoked. Here, he said, rather unceremoniously, people plant this ornamental tree for shade. 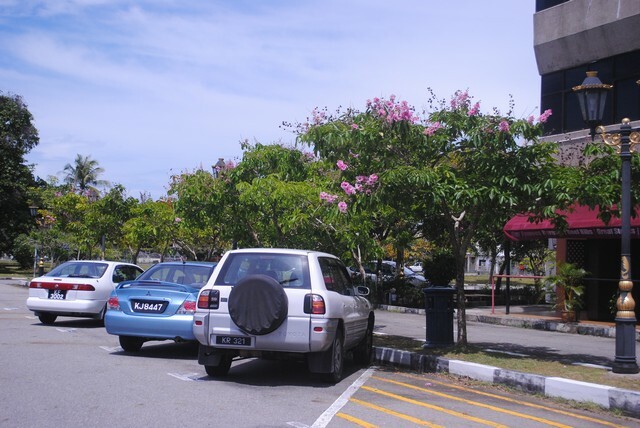 True to his words I’ve always adored this beautiful “parking lot” and “roadside” tree and its colourful blooms. An ornamental parking lot tree? The tree this chef referred to is the banaba tree (sp. Lagerstroemia speciosa). 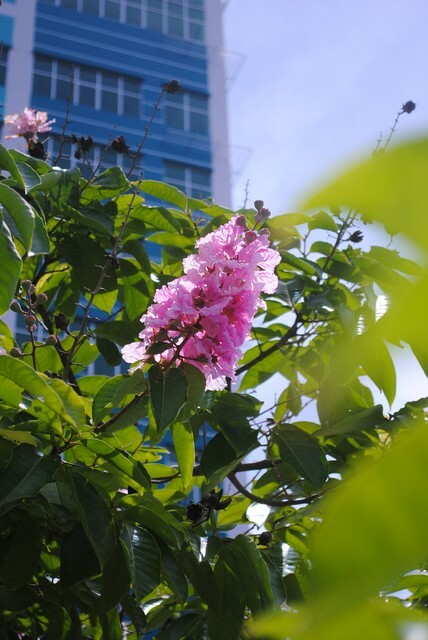 It is also known as Queen’s Crape-myrtle, Giant Crape-myrtle, or Pride of India. The genus is found growing from China, to Southeast Asia, to India. Banaba tree belongs to the Lythraceae family. 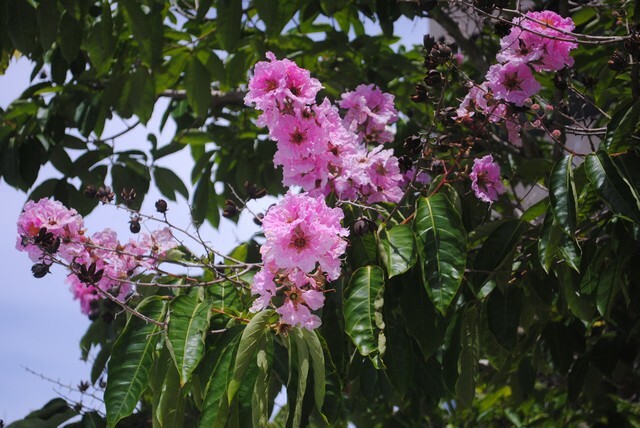 The tree can grow to over 20 m.
In early spring (late February through March) the tree bursts into a colourful florescence of mauve-lilac to lavender coloured blooms. The flowering period is long, and the flowers adorn the trees for weeks. If you like this colour, it’s a visual delight to behold. 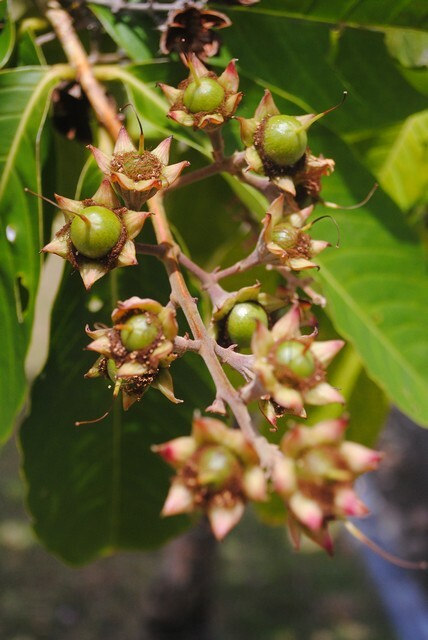 The mature leaves, fruits, flowers as well as bark are used for its herbal healing qualities. The banaba leaves are harvested, dried and used for making tea. 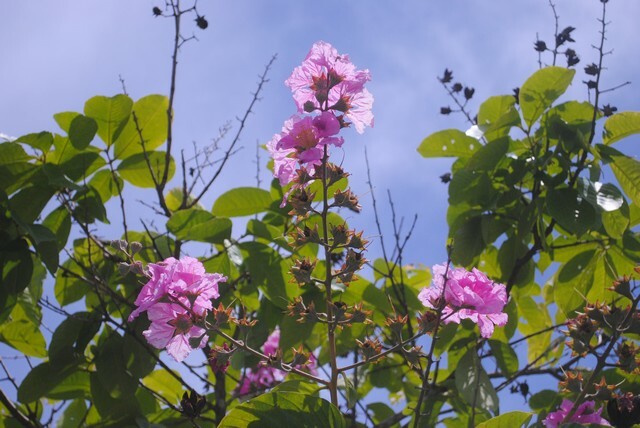 The banaba tea is diuretic, so one needs to be adequately hydrated due to frequent urination. The Chef said he was gathering leaves to make tea. A few weeks after his introduction, I gathered some leaves and after drying it for 2 weeks, I made tea. This is NOT a prescription. If you have a medical condition, please visit your regular G.P. My concoction is 3 teaspoons of ground banaba leaves and steeped as tea in 3 cups of boiled water, producing a light but dark coloured tea. This brew is distinctively bitter. I’ve been consuming this tea for the past few weeks, though not religiously. I believe there has been some positive results. I notice some weight loss (this could also be due to drinking less sweetened beverage). However, I can’t tell about my diabetic risk since I haven’t gone to the doctor for my bi-annual check. For b.p. control, my home reader suggests a slight improvement (again this result cannot be independently verified). Whether or not my health has improved due to the tea, I’m glad to have found new knowledge about this tree. All thanks to the Hainanese Chicken Rice chef, I can now admire this tree and consume it. Next, I should plant a few of this tree in my garden!